How unfortunate is it that some of the best photographic opportunities present themselves when it's miserably cold outside? It doesn't matter what kind of camera equipment you're using, proper preparation and knowledge of your gear and environment are essential to helping ensure success when you're out in the cold, making photographs. Before we talk photography, let me say this: be smart. Cold causes hypothermia and frostbite. There is no potential photograph worth the damaging or deadly side effects of prolonged exposure to cold. Plan your outing, do not push yourself, and have a plan for getting warm at the end of your expedition. Also, let someone know where you're going and when you expect to be back. 1) Batteries hate the cold as much as reptiles and other cold-blooded creatures. The cold temperatures cause degraded performance, and there are few things worse, let me tell you, than running out of battery power in the midst of a photographic outing. The Law of Murphy guarantees that your batteries will run out just before you attempt to capture the best shot of the day or night. Head outdoors with a fresh battery and keep your spare batteries—not in your camera bag—but inside your layers of clothing to keep them warm. Now that I think of it, someone probably needs to invent some kind of chest holster for camera batteries. 2) A camera bag or camera backpack is always great for keeping your gear clean and protected from the elements. Winter weather and cold only serve to make these accessories more important. If you are out shooting, your camera will, of course, be exposed to the same cold air that is freezing your feet, but there is no way your camera will enjoy being subjected to driving snow, slush, sleet, or ice. Keep it protected! 3) Bring a large plastic bag along with your gear. I will tell you why later. b) allows you the dexterity to manipulate your camera's controls. 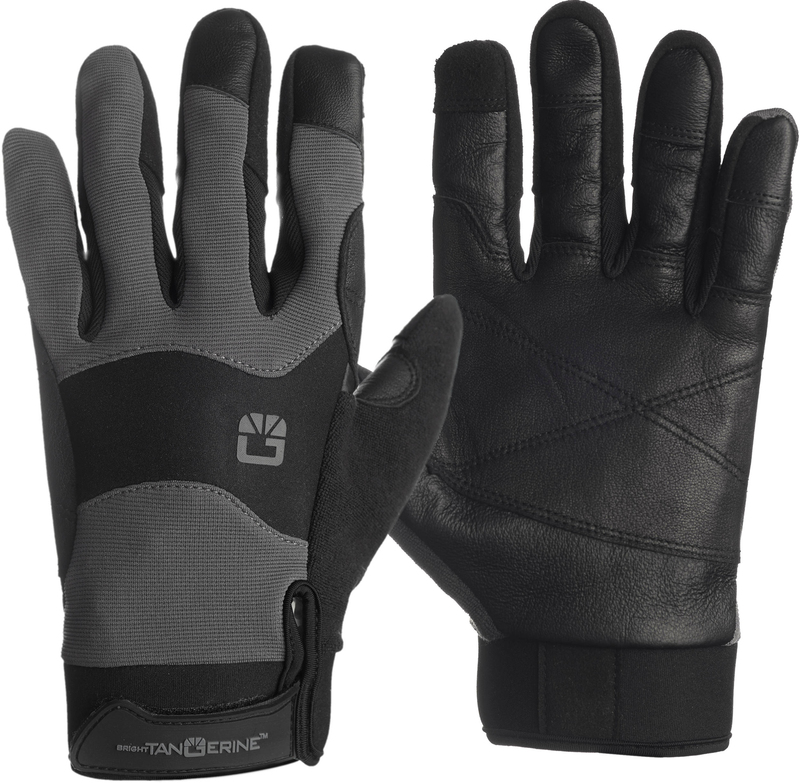 Several manufacturers have tried to crack the code, and there are winter gloves that feature removable fingertips that are designed to allow you to operate your camera's control dials, buttons, and the shutter release. If you have discovered magical gloves that are perfect for operating the command dial of my DLSR while keeping my fingers warm, please share the name of the product! Now we are outside... seriously? It's really cold! Don't forget to keep your spare batteries as warm as possible. Also, if you are carrying an external flash, do not forget to keep it warm, as well. The batteries in the flash will suffer in the cold. Where is my battery-holding bandolier? 1) Some good news: Cold winter air is generally clearer than warm summer air, as it generally contains less moisture. Clear air = crispier photos. Sweet. 2) If there is snow on the ground on a bright day, watch your exposures. Snow can be one of the trickiest subjects to expose properly, sometimes fooling your meter into underexposure and other times into overexposure and a loss of detail. A common rule of thumb with digital is to expose for the brightest portions of the scene and make sure to keep your highlights from being blown out to "all white." Shadow detail may be extracted later in post-processing, while overexposed highlights cannot usually be recovered. Another point if photographing in the bright sun: use a lens hood. Since the snow can act as a giant reflector, there is a greater chance of stray light reaching your lens and causing unwanted lens flare. 3) More good news (for photographers): Because of the lower angles of the sun (the same lower angles that make it so bloody cold), your "quality of light" is generally better throughout the day and shadows are longer (sometimes a good element for your photos). If your shooting day presents you with cloudy, overcast weather, you might also consider changing to the “Cloudy” white balance setting to add some warmth to your photos and minimize any blue cast. 4) A UV filter is an ideal tool for clearing up the appearance of haze in photographs, which is more common to winter and cold temperatures, as well as when shooting at higher altitudes. 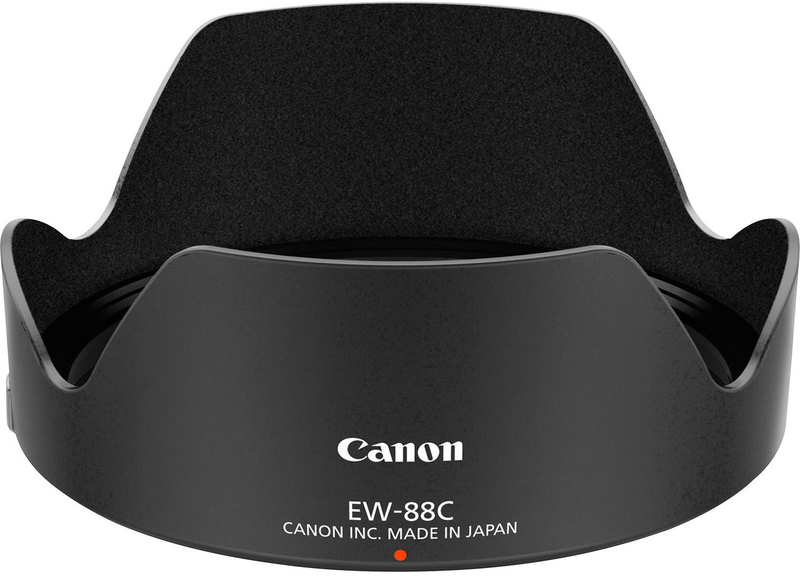 However, the UV filter's other huge benefit to photographing in snowy climates is that it protects your front lens element from snow or other elements. Frozen cold? Miserable because your toes and fingers are icy cold, yet warmed from the inside by the art you just created? There are some precautions you might wish to take before going back inside to thaw out. Pull your memory card from your camera. Why? Read #2. 2) Put your camera and lens(es) into an airtight plastic bag. Why? Moisture and condensation will want to form on a cold object introduced into a warm environment. Moisture and electronics do not play well together; the plastic bag will magically sacrifice itself to the condensation process so that your camera and gear can stay dry while it warms up. Leave it inside for about two hours while you get yourself some hot cocoa, draw a warm bath, and transfer your new photos to the computer. 3) If it was especially cold and dry outside, you can put your camera on a windowsill to encourage a slower warming process for your camera. Enjoy the winter with your camera. Stay warm. Protect your gear. But, most importantly, stay smart while you make photographs! For more information, check out this B&H video and enjoy these other winter shooting tips. What cold weather tips do you have for shooting in the cold? What has worked well for both you and your gear? Be sure to check back on B&H Explora for more of Adventure Week: Winter Edition​—and don't forget to follow B&H on Twitter @BHPhotoVideo for up-to-the-minute #adventureweek news. Excellent tips here.Helpful tips for photography. Great article. Should I put the camera and lenses in the ziplocs only before I come inside, or also before I get outside? You'll want to put them on before you come inside. Some photographers have told me that they recommend you keep your gear somewhere colder than right next to the fire place in your cozy living room before you step outside so that your kit can get a head start on acclimating to the cold and you don't have condensation issues keeping you from shooting right when you get outside. I personally haven't had that issue going from warm to cold. Thanks Todd! One more question: what about changing lenses out in the cold? Should I have any special care? I'm planning to carry a telephoto and a wide angle, is it risky? Thanks! Aside from blowing snow and dirt, I cannot think of any additional risks to swapping lenses in the cold...unless your hands are frozen and you have reduced dexterity and this causes you to perform a drop-test of your optics onto the frozen tundra! In actuality, batteries do not discharge faster in the cold; it fact it is the opposite. The battery fails because it CANNOT discharge. What is happening is the ions are unable to to move because they are cold. Since they cannot move, they cannot produce current to drive your device. Battery meters interpret no current as a discharged battery where point in fact, the battery still has the charge it had when it was warm. This is why when you go back inside the battery you thought was dead outside in the cold, all of a sudden is working fine again. So it is imperative to keep the batteries warm to allow the ions to move and produce current. That is why keeping them warm works. I stand corrected and, if you saw my college transcript and physics and chemistry grades, my error would be justified...kind of! I will update the text before others run out into the cold thinking the wrong thing! Thank you for keeping us straight! Yes, all excellent advice, and I have done photography at lower than -30 F.
What perplexes me is advice to remove camera cards before going indoors. My intuition is to leave them in place until entire rig has equilibrated with indoor temperature. Also, I'd hate to be handling precious cards with numb fingers in a blowing wind at arctic temperatures. Please explain why it's suggested to remove cards outdoors. 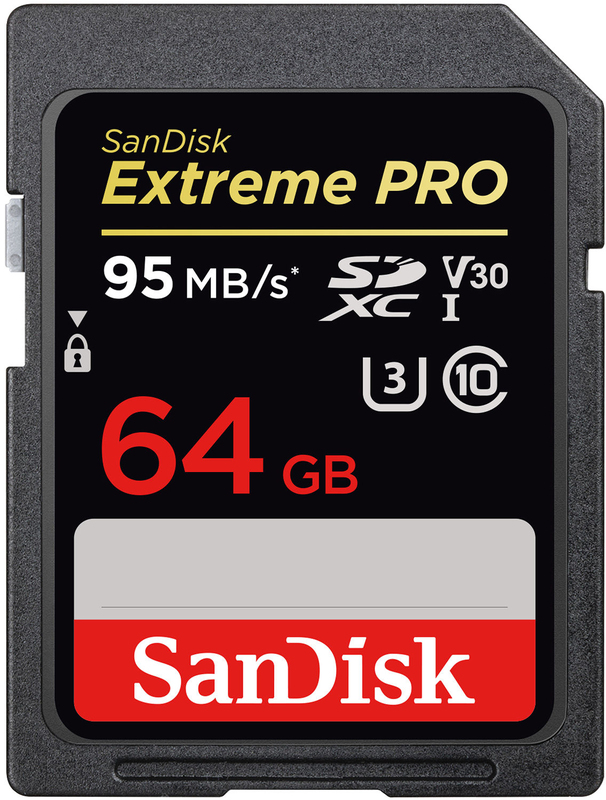 There is a belief that you could get condensation on the metal contacts of a memory card and that could cause issues with the camera. It hasn't happened to me and I haven't read horror stories about it, so I would assume this should be filed under "better safe than sorry." Consider getting a Ruggard DSLR Parka (B&H carries it; B&H # RUPACLB ) to keep both your hands and camera with battery insulated from the cold. I have yet to use mine but it looks promising. It appears have room to add a chemical hand warmer packet for additional warmth. 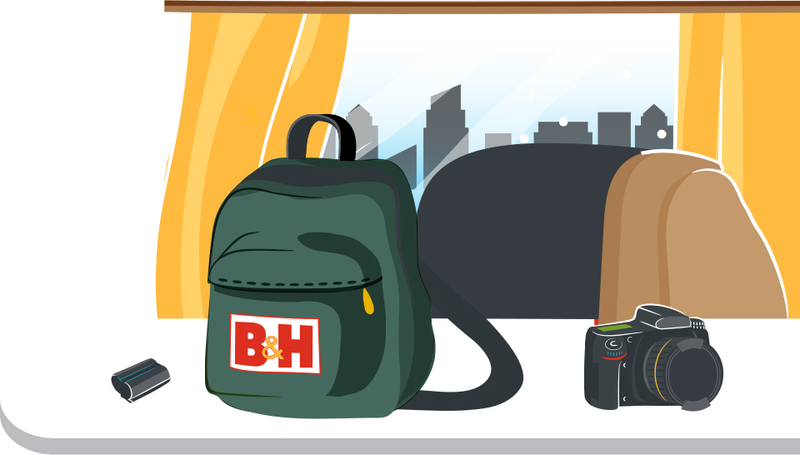 Thanks for promoting B&H gear, James! When using a glove with fingertips that can be opened or a hybrid glove/mitten (sometimes called a glitten), I wear a pair of sized nitrile disposable gloves under the glove or mitten. This gives good dexterity but never exposes my bare skin to the cold air or metal. Be sure to get the sized nitrile gloves that give a good, surgical glove-type fit. Hardware stores, Costco, etc. usually have the gloves in boxes of small, medium, and large but for the best fit you can spend the money for gloves intended for heathcare or lab work. These come in about seven different sizes (e.g. NitriDerm® gloves). The healthcare/lab gloves tend to be softer, more elastic, and provide better tactile sensitivity than the typical hardware store nitrile gloves. I have worn nitrile gloves when cycling in the winter for the same benefits. Good stuff! Thanks for reading and sharing your pointers! Good advice for cold weather. When I was shooting polar bears in Chuchill, Manitoba at -35 C (walking outside for 4 hours straight) my Nikon D500 and my husband's D800 did fine. Many others on the trip with more consumer grade cameras (Sony, Canon, lower end Nikons) had battery failure, lens failure and electronics failure. My husband has Raynaud's (cold fingers) so we researched gloves extensively. We both got the Heat Company's Austrian Special Forces gloves which were designed to allow shooting (guns) in cold weather. It comes with a warm inner liner that can accommodate a handwarmer and a shell with thumb and forefinger that peels back. That exposes still covered fingers with material that can make contact with a touchscreen. The shell also accommodates a handwarmer. His fingers were still cold (even with 3 handwarmers!) but this seemed to be the best solution to still allow photography. If you only expose the fingers occasionally it keeps you warm. We were in a situation where we had to be exposed for 20-30 minutes at a time, but the photos were phenomenal! Great information! Thanks for sharing your experiences! Long live the polar bears! I just wear some cheap leather gloves I got on Amazon a few years ago. I may not be able to feel everything very well, but my fat thumbs and fingers can still operate the dials and buttons on a D600 and an A7III. Trying to change lenses is a completely different story. Thanks, Jacob! It sounds like you are tougher than most of us! Good article. I've always put my camera in a backpack and let it cool to ambient temperature. I've done this with my Nikon D40 and D7000 down to -5°F (-20°C) and been able to take somewhere between 50 to 100 shots during a day. Putting your camera equipment in a plastic bag or waterproof daypack is spot on when going from outdoors to indoors. It's all about dew point. I have gone from near freezing weather outside in to caves where the temperature is 78°F and very high humidity. I put my camera under my jacket to keep it warm and when entering the cave, I didn't have any condensation problems. One other guy didn't do that and his lens was fogged pretty bad for most of the foray. Thanks for sharing your tips and experiences, Mark! Good stuff! Years ago I learned the hard way about the condensation issue, and subsequently bagged my gear before coming inside as a matter of course. That said, it's a bit of a hassle when you have multiple cameras and accessories to deal with. I've since found that Ziploc oversize bags (XL - 24"x20" and XXL - 24"x32.5") provide a convenient solution in that they will hold my entire camera bag. The XXL size will easily hold a ThinkTank Airport-series bag. After a day of shooting I simply pop the entire camera bag into the Ziploc before bringing the gear inside. Ziploc for the entire bag; perfect idea!!! Thank you Ronald B. Great advice, Ronald! Thanks for stopping by to share! Does anybody know what is spec'ed temperature range for various kind of batteries? Tried looking for Olympus batteries on their site, but no temperature range listed. Most manufacturers list temperature ranges for the operation of a camera, not specifically the batteries. Noting my horrible grades in physics and chemistry referenced above, my guess is that a Google search will lead you to information on performance of different battery chemistries under different temperature conditions. In the mean time, just know that you get reduced performance from the batteries the colder the ambient temperature is. Have you tried using hand warmers on batteries- such as on drones, outside the battery compartment of camera or flash to keep the unit warm? A crazy idea but was just wondering. Also for Drones, I usually notice that the drone will signal low temperatures and give a warning but still operate well. Its the phone thats operating he drones that will want to shut down first. Maybe having a handwarmer against the phone in my gloved hand? Or is this a crazy idea? I have used hand warmers. I put them in my pockets so they served to keep both my hands and batteries warm. This was in Yellowknife while photographing the Aurora so darkness added to the challenge. Temps were not awful for that area. We hit a “warm spell” for March. I think the coldest we experienced at night was -15 to 20F. Everything worked fine. Bingo! Thanks for sharing your experiences, Susan! Not crazy at all, Joseph! In extreme conditions, I would certainly give this a try with the added benefit of helping to keep your hands warm. It is only crazy if it doesn't work, right? Great tips. Recently started at the, New England School of Photography, and the winter is upon us. We're outside a lot and the battery and condensation tips are spot on. Any tips for film? January we start black and white film. Sorry for the delay in replying...I was out of town for a few days. I'll admit to having to research this answer, and there might be more information on other websites, but, in general, temperature not only effects film exposure, but super cold temps can make film brittle. Kodak recommends you let film warm up before loading it into the camera (this applies to taking film from the refrigerator before use). Polaroid says that below 55F you might get some wonky results. And, another New York camera store cautions about static electricity build-up that can create sparks and leave marks on the frames. It sounds like it might be a good idea to keep the camera inside your jacket or coat when not shooting to try to keep the gear warmer than if it was just hanging from your neck strap! If you find some other information, please circle back to share with us! Also, tell Jurgen hello! You are the BEST! This is the 6th positive comment you have left for us here. We love clipping p. p.! All hail clipping p. p.!!! I knew something this post.Every tip is important for me because I am a graphics designer. You are very welcome, Hazel! Thank you for reading and good luck in your photographic adventures! Any other recommendations on gloves? I have a Canon EOS Rebel t6 and the weather is 22 degrees ferinheight right now. If I’m doing long exposures like star trails will it be okay for my image sensor to be open for around 30 minutes? Most of the manufacturers list their minimum operating temp at 32f so that when something goes wrong at colder temps they can deny your warranty claim, but I shot at -40f to -65f routinely for about 6 months with a Nikon D810 (the camera would begin to malfunction after about 40 min at that temp, but come back when warm), and while there is the possibility that I took some clicks off my camera's life, I've had no issues with it. I was fortunate enough to be shooting in a desert so condensation wasnt an issue, but if you're worried you can seal seams with Super 88 and use the ziploc bag as mentioned. I, too, have performed operations outside of the camera's published operating limits with no ill effects. But, as I am working at and representing B&H when I reply to these comments, I cannot officially endorse using equipment outside of the guidelines imposed by the limits of their respective environmental specifications. Should you also put any extra batteries you have in a plastic bag as well and let them warm up before charging them? What are your thoughts on keeping your camera close to your body while outside traveling to the shoot location? Would the sudden change from warm to cold affect the camera? Yes, you might want to make sure the batteries are completely dry before re-charging them. Also, let them warm up a bit before charging...no scientific backup for that thought, I just know that warmer batteries perform better than cold ones, so my guess is they charge better as well. I often try to keep my camera inside my jacket—mostly for the batteries—and I haven't had condensation issues that I recall. If you were exerting yourself and building up a lot of moisture under the jacket, that might cause issues. Most modern cameras are pretty tolerant of the cold, it is the batteries that suffer. There is scientific backup for not charging cold batteries. If the charger does not automatically disable cold battery charging, the batteries can be permanently damaged by trying to charge them. 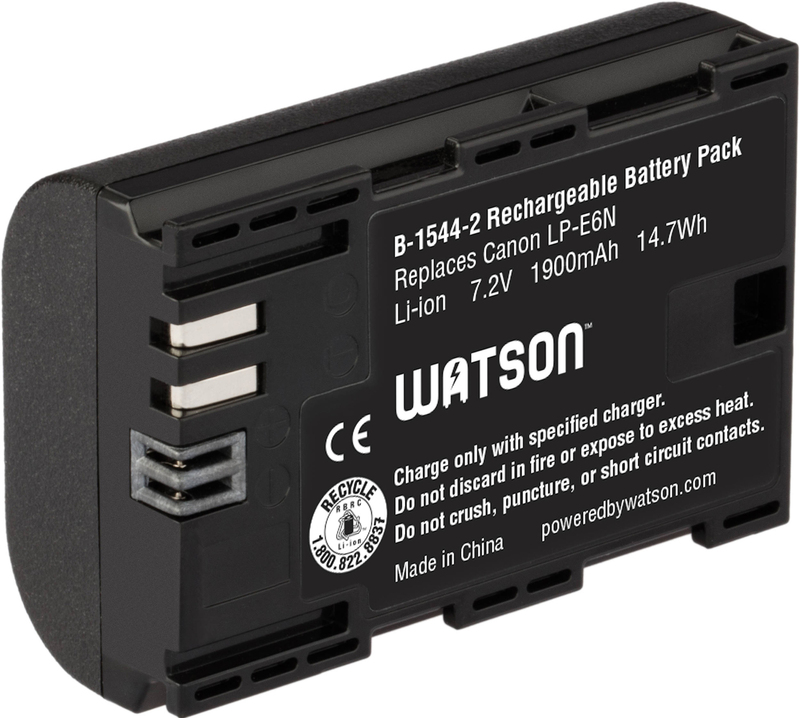 Nearly all battery manufacturers (Li-Ion) use OC (32F) for the lower end of a charging range. The charging process will slightly warm the batteries as well. If your charger has temperature cutoff circuitry, your batteries will sit in the charger until they warm enough to begin charging. So, in this case, you could put the batteries in the charger safely even if they were very cold.